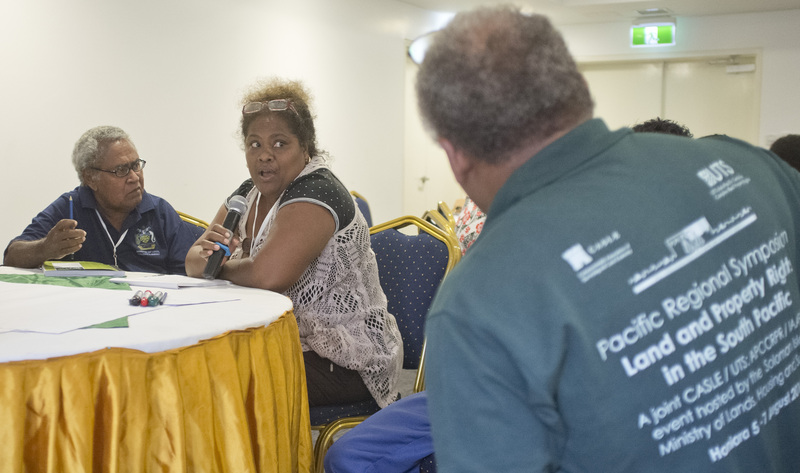 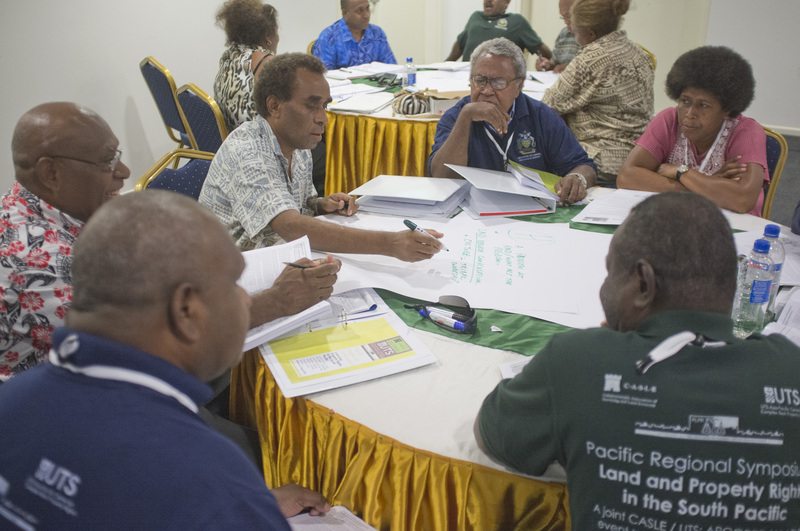 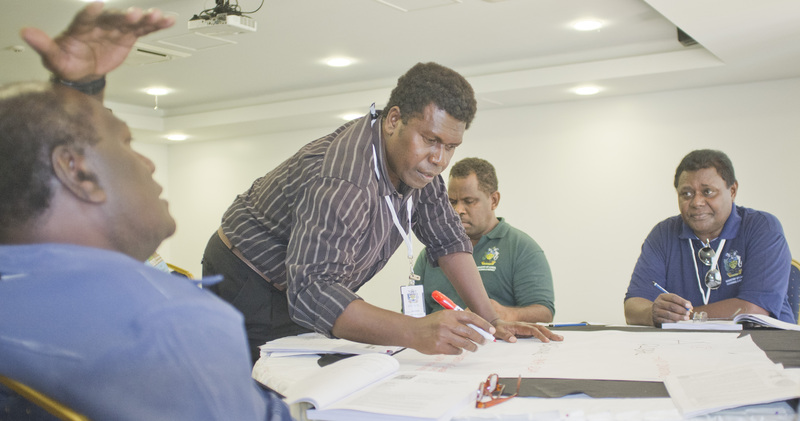 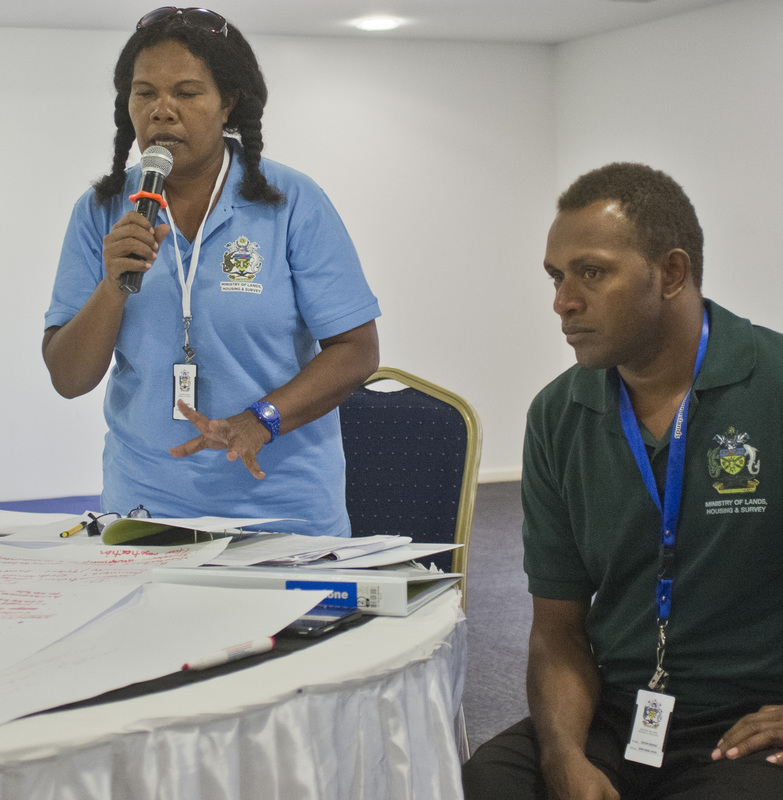 Over 50 delegates participated in the CASLE / UTS: APCCRPR / IAAPLPR Pacific Regional Symposium on Land and Property Rights in the South Pacific in Honiara, Solomon Islands, last week (5-7 August 2014). 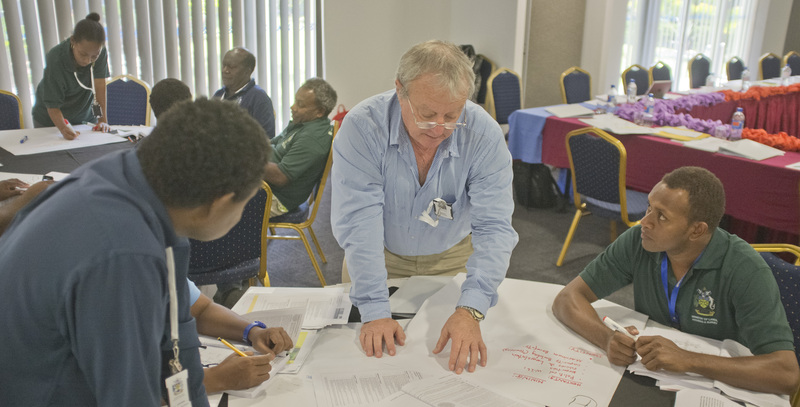 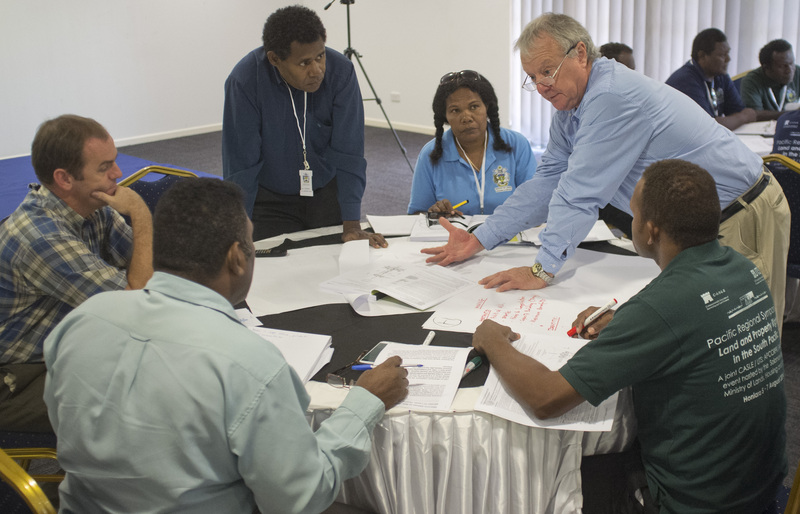 Hosted by the Solomon Islands Government Ministry of Lands, Housing and Survey, and with a £6,500 grant from the Commonwealth Foundation, the symposium was facilitated by four members of the UTS: Asia-Pacific Centre for Complex Real Property Rights: Prof. Spike Boydell, Prof. John Sheehan, Ulai Baya and Mike McDermott. 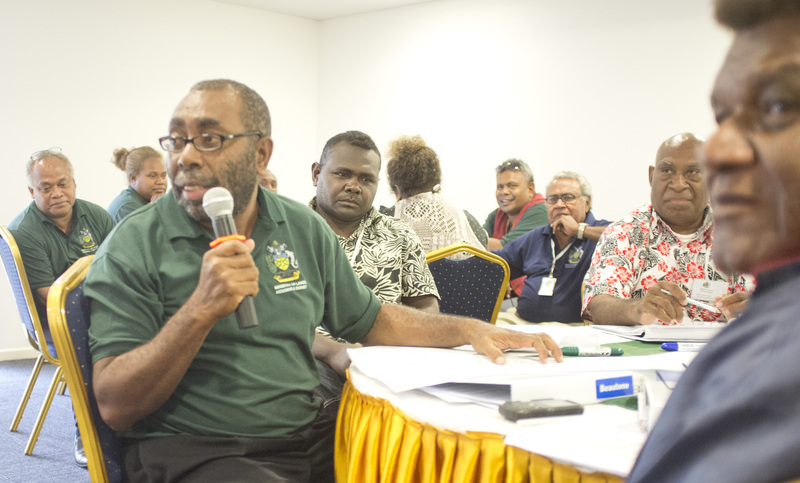 Deputy PM, the Hon Manasseh Maelanga MP, opens the Symposium on 5 August. 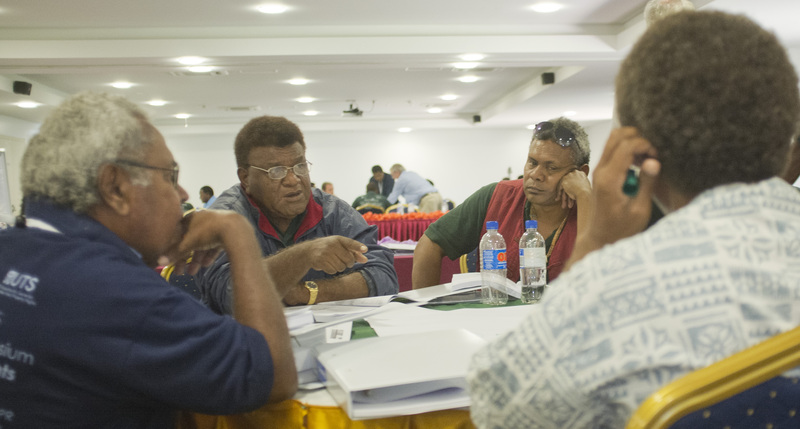 L-R: Mike McDermott, Prof John Sheehan, Stanley Waleanisia, Hon Manasseh Maelanga, Prof Spike Boydell, Ulai Baya, Buddley Ronnie. 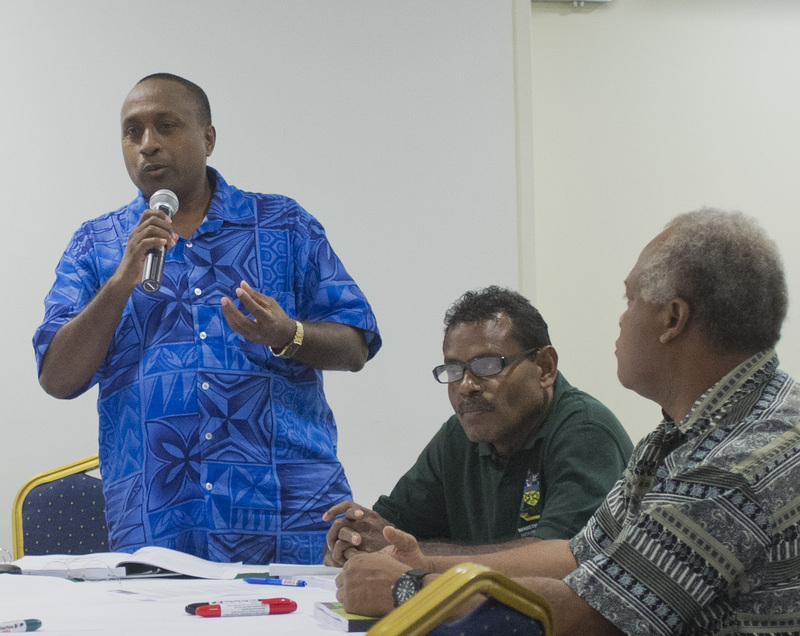 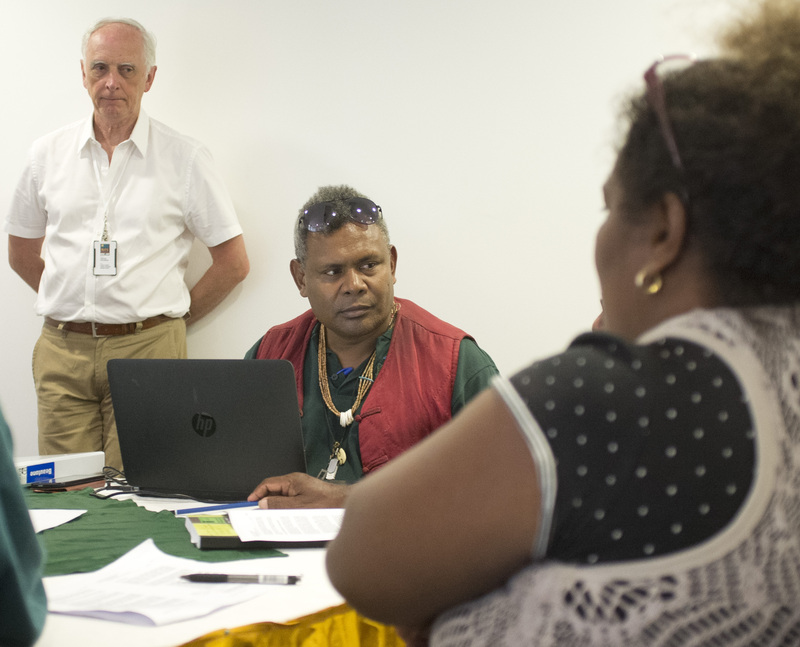 There was heated debate about Climate Change and land issues in the Pacific Region, Land Resource Compensation, Using Property Trusts and Leases to support Customary Landowners, and Carbon Property Rights. 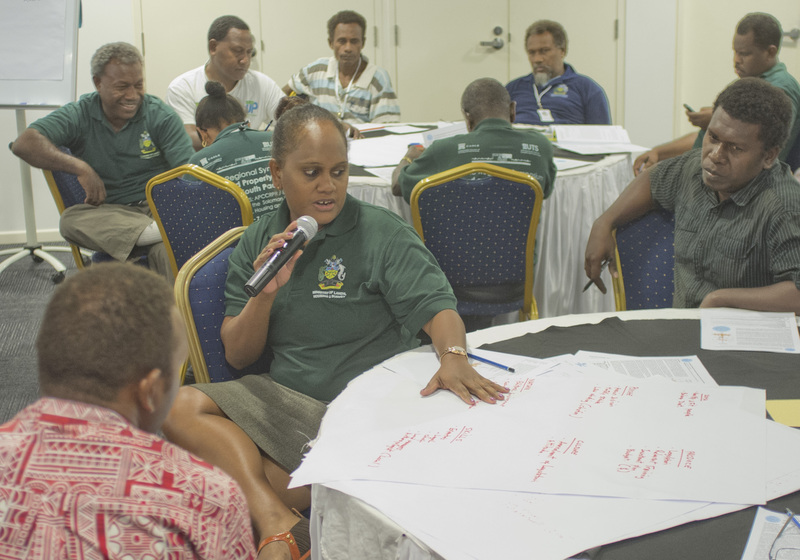 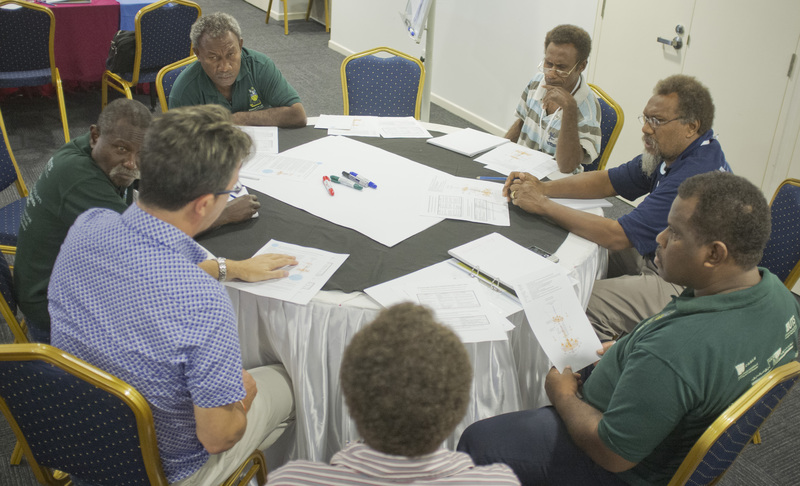 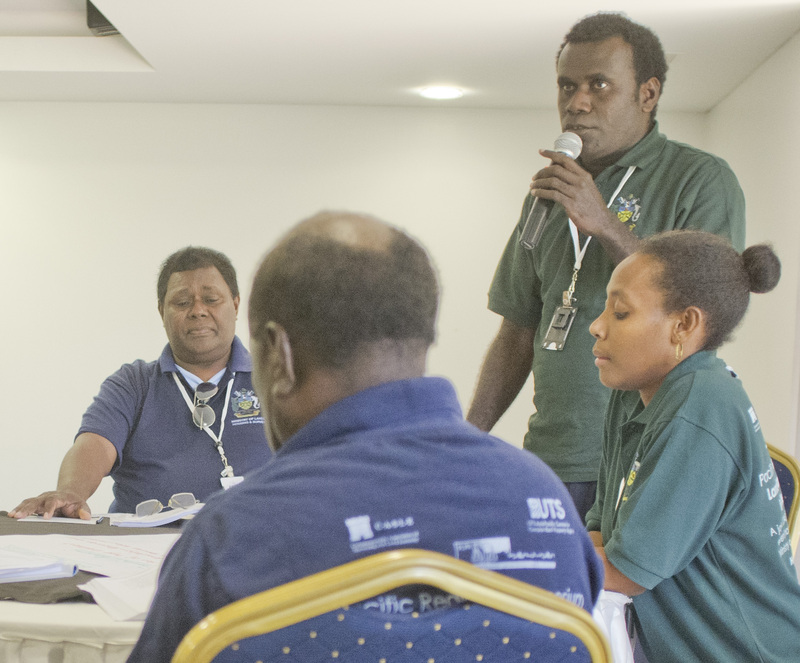 Each session had a workshop component (see photos below) and there were two comprehensive case studies on Land Compensation (Tina Hydro team) and Land Policy Intervention (Vanuatu Land Program team). 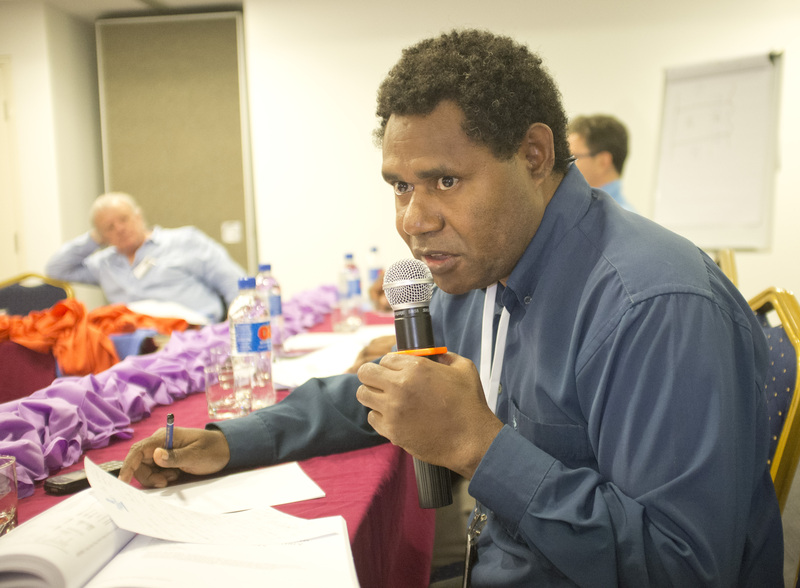 For more video, images and the delegate resource pack, please click on the CASLE / UTS: APCCRPR / IAAPLPR Symposium page (tab above).